counting calories | Counting my cookies... & Eating them too! Who is this girl, and why is she counting her cookies? It’s time that I took a minute to introduce myself and give a little insight into the birth of this blog, it’s purpose, and my expectations of it; and what you can expect of it. My name is Debbie. I am 40 years old, married for almost 5 years to the most wonderful husband (Jim) and we have a 15-year-old daughter (Cecilia). We live in the metro Detroit area and I work full-time in a customer service role with a large national industrial supply distributor. My journey with health and fitness has been a long one. I have had a love/hate relationship with fitness my whole life. I go through cycles where I get really committed to being active and fit, then I tend to get lazy over a period of time and gain weight and become more unhealthy. I love the way that exercising makes me feel and of course the way it helps me to look! But it can be challenging to maintain an active lifestyle when you work full-time and especially if you’ve let yourself go a bit, the less “in shape” you are, the harder it is to do the things you need to do to get back into shape. Several years ago I (once again) reached my typical “fat weight” of about 150 pounds. I am 5’2″ so really an ideal weight for me is around 120 lbs or a little less. At 150 I am wearing size 12 pants, feeling sluggish and uncomfortable and feeling generally unhappy with myself. At that time, my husband and I started watching The Biggest Loser and decided to do a little biggest loser competition of our own. Each week we had a weigh- in, and which ever of us lost the least percentage of our body weight had to clean the cat litter boxes. (We have 2 cats, and 4 litter boxes – this is not a fun job!) Over the course of the year that followed (we started the day after Thanksgiving so that has become our “Fitness Calendar Year”) I lost 11 lbs. I never quite made it all the way to my goal, I hit a plateau around 138 lbs and felt relatively comfortable there (in comparison to where I had been). That was when the laziness set back in. The frequency of my workouts diminished. I started eating larger portions, stopped tracking my calorie intake, went back to eating more “treats”. Over the next year and a half I had gained back the 11 lb. and then some. September 2012, I was back up around 150. I had an 8 night cruise scheduled in March and would be standing up in my best friends wedding in July. I knew if I wanted some changes by those events I needed to start NOW. This was when I decided it was time to take control again and get back to where I wanted to be. The ONLY thing I’ve ever found that works for me to lose weight is counting calories. You can check out my posts on this blog titled with Month/year to follow my monthly fitness journey summaries where I outline what kind of workouts I did and how I changed it up each month. 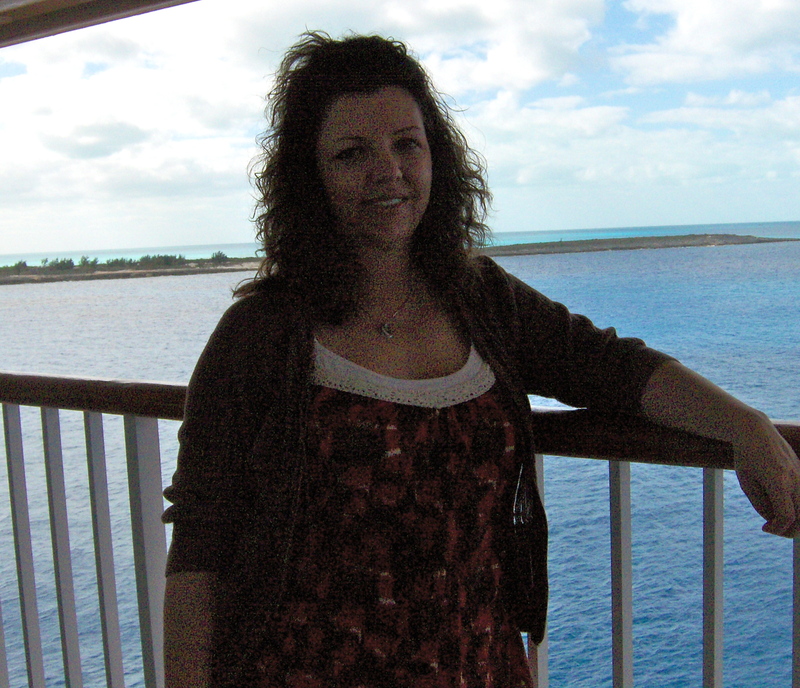 May 2013 – after losing 27 lbs. 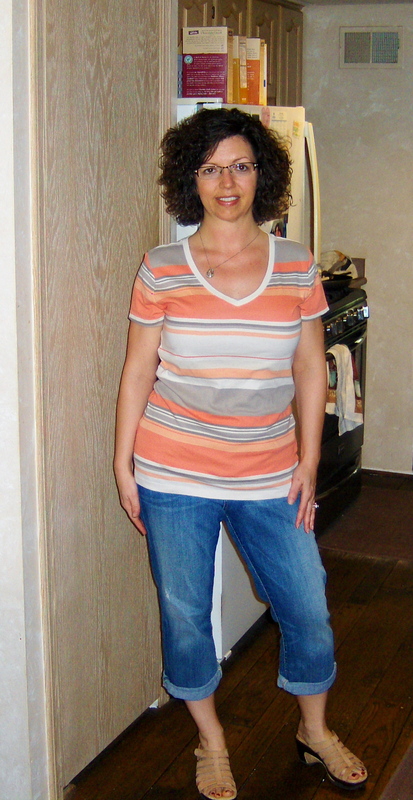 To date I have lost 27 lbs, I went from 150 lbs to 123 lbs and shrunk from size 12 jeans to size 5/6. Determination to maintain this weight drives me to keep up this blog, I am tired of the yo-yo cycle and I need somewhere to be accountable. In addition, as I will talk about more in later posts, my journey has led me to making a lot of changes in my lifestyle to improve my overall health. Like changing the kind of food I eat and how I arrange my days to include activity. I’m not getting any younger and I am determined get more and more fit and healthy as I grow older instead of gaining weight and watching my health deteriorate – for as much as I can help it anyway. It has been a long, slow process of baby-steps but the results have been wonderful. Initially, I started logging some of this stuff using the journal tool on Calorie Count. But recently I started looking for inspirational blogs to follow and frankly I’ve just been inspired to start my own. Let me just say, I know NOTHING about blogging. I am internet challenged, I feel like I am in the generation that just sort of missed out on some of this stuff, but I am up for the adventure of learning all about it! I am not a professional blogger. This is meant to be a hobby for me right now, a place to track my progress, document what has worked for me and what I’ve learned. Share some insights about how I’ve lost the weight, how I’m keeping it off and how I’m improving my overall health with better nutrition. My main goal is to keep myself accountable to keep going. Hopefully, there will be some folks who will stumble across this blog and find it somewhat informative, mildly amusing, and may take inspiration from it or learn a trick or two they might want to try in their own life. My time to spend on this blog is very limited, since I work full-time and spend a fair amount of my free time working out or playing in my kitchen. I will be reading all comments and will most likely respond to them all but please do not be offended if I do not respond right away. If you see something that seems crazy to you about my blog, please don’t judge – I am just learning how all this stuff works and haven’t figured out even half the features of WordPress yet. Your constructive suggestions and tips are welcome!